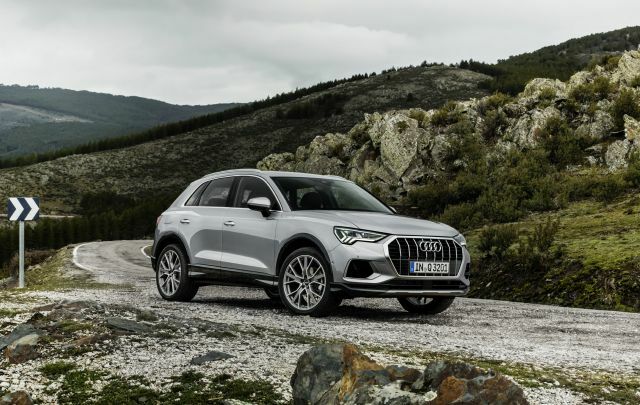 Audi have finally unveiled the new second-generation Q3 compact luxury SUV, which they claim is a great family SUV with all-round talents. 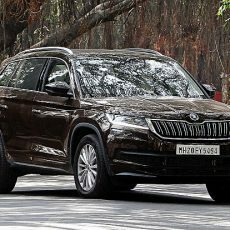 The new Q3 is based on the VW Group’s MQB (Modular Transverse Matrix) platform which has allowed the car to grow in size compared to its predecessor and position itself higher in the compact SUV segment. The new car is 4,485 mm long, 1,856 mm wide, and 1,585 mm high: that’s 94 mm longer, 25 mm wider, and 5 mm lower than the previous generation Q3. The wheelbase of the car has also been stretched 77 mm to 2,680 mm making it more spacious for occupants. The design of the new Q3 ditches the soft, rounded shape and goes for a sharper, more angular look – like the new Q8, A7, A8, and A6. 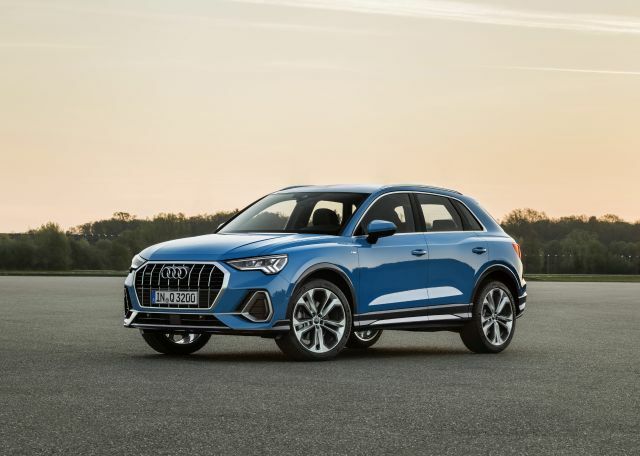 The new Q3 has all the signature Audi design details including the squared-off wheel arches, Audi design motifs, and the Singleframe octagonal grille. The front bumper gets a more aggressive design with side air inlets. 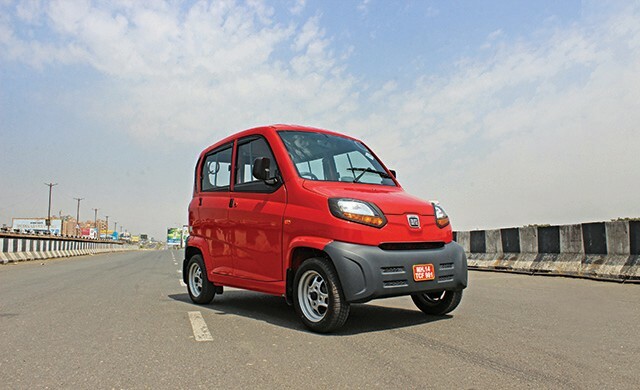 The headlights are narrower and run inwards with a wedge shape. Inside, the new Q3 follows the new Audi design philosophy once again seen in the newer models. With cleaner lines and the new MMI touch system seen in the higher echelons of Audi vehicles like the A8. The MMI touch is now tilted 10 degrees towards the driver giving the cabin a more driver-oriented feel. Audi have developed three different concepts for interior trim – the standard version, Audi design selection, and the S Line interior package. Both additional packages come with sport seats, and a combination of leather and alcantara trim. Under the hood, there is a choice for four different engine configurations, all turbocharged four-cylinder motors. The first is the 35 TFSI which packs 1.5-litre petrol which produces 150 PS with power going to the front wheels. The second offering is the 40 TFSI quattro which has the 2.0-litre motor producing 190 PS which sends the power through the seven-speed S tronic automatic gearbox to the quattro all-wheel-drive system. The next option is the 45 TFSI quattro which makes 230 PS and has same drivetrain as the 40 TFSI. 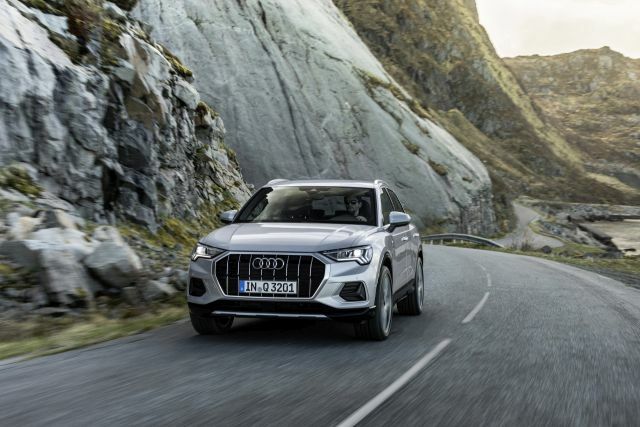 The final offering is the 35 TDI 2.0-litre diesel motor which develops 150 PS with power sent through the quattro all-wheel-drive system and being offered with a six-speed manual transmission, the seven-speed S tronic automatic will join the fold later. Audi are also planning a 190 PS 40 TDI. The new Audi Q3 will be manufactured at the Győr plant in Hungary. Deliveries in Germany and other European countries will start in November 2018. The new Q3 will be coming to India eventually in 2019. Watch this space for more.